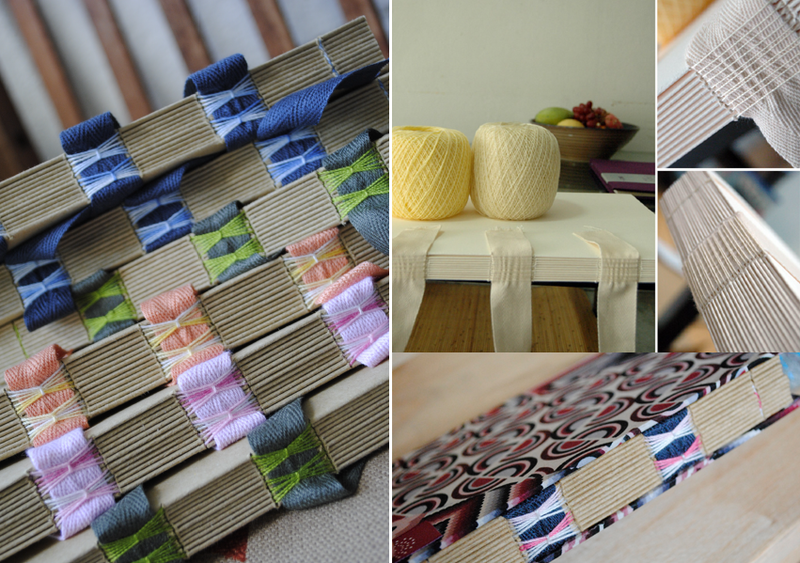 I received quite lots of enquires asking me the different between Kettle and Coptic Stitch Binding. Many participants wanted to learn the best stitch, but for me both have special character of its own. It was like comparing 2 different skill. Kettle stitch's roots lie in Medieval times. According to Dictionary.com, the kettle stitch is "(in hand sewing) a knot tied in the thread that links one section to the next." Kettle stitching looks like a series of knots joined together in a row. It required section/signature means a combination 3-5 sheets of paper being fold in order to create one section. The name itself are referring to the stitch that links one section/signature to the next (head & tail) and start at beginning of 3rd signature, continuously till the end. The term may be adaption of "catch-up stitch," or "Kettel stitch" (the stitch that forms a little chain). The pattern obviously different compare than Coptic Stitch and it needs cotton tape, satin ribbon or leather strap to clamped all the section together. (Please refer to pictures). It start from outside to begin with even number hole. You could let the stitch to be straight or creating the butterfly pattern by knot a few number of signature together. Kettle Stitch can be laying flat without risk of damaging the spine; following the opening of a book past flat 180 degree. Developed by early Christians in Egypt, the Copts, and used from as early as the 2nd century AD to the 11th. The number of hole can be odd or even number and it starts from inside. Thread or cotton cord are used and will pass each hole twice, the chain pattern looks more obvious if you use thicker thread. 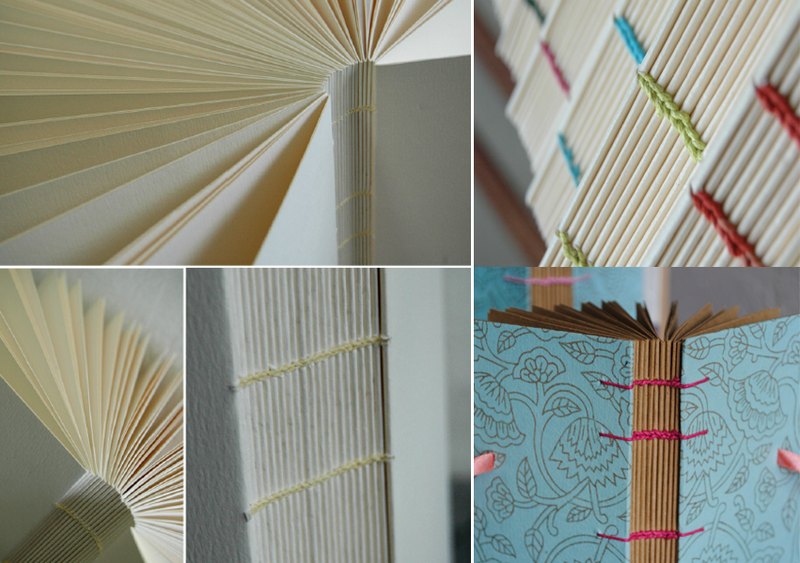 Coptic binding are especially useful for binding many sections/ signature together. The exposed spine and thread that looks like a chain is the most essential trademark of coptic binding. Length of time used is 3 times longer compare to Kettle stitch. Coptic Stitch can be laying flat without risk of damaging the spine; following the opening of a book past flat 180 degree. Many thanks for your information. I want to ask you, what do you do with the beginning and the end of the thread when the signatures have been sewed? How do you hide them by the kettle stitch? 2) To bring it outside. The cover will paste over the first and last signature, so the tail will hidden inside when the cover being glued to the first and last page.